The engine details of the 2019 Bajaj Dominar have been leaked online. Reports say that it might get a BS-6 engine and slightly jacked up power figures. 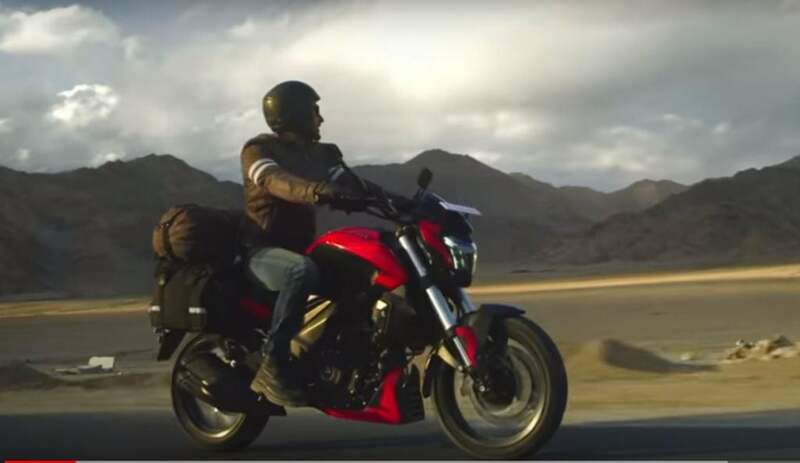 2019 Bajaj Dominar is just days away from the launch and here we have some dirt of its engine specifications. Other than that, there will be some mechanical changes as well. Reports suggest that the new Dominar will sport a bigger cylinder head for the Dual Overhead Cam (DOHC). Currently, it is equipped with a SOHC. The DOHC will go with the retained Triple Spark system. With this development, the power figures are definitely rising up. Currently, it gets a 373cc engine that puts out 35 BHP and 35 Nm of peak torque, mated to a 6-speed transmission. Also, the engine will be more refined than ever. The reports also suggest that 2019 Bajaj Dominar might get a BS-6 engine. As of now, only Jawa and Jawa Forty Two are equipped with the compliant engine. If there are changes to the engine, there are chances that KTM Duke 390 might also receive some engine revisions. However, that is complete speculation. Till now, we know what other changes the 2019 Bajaj Dominar will receive. The official teaser of the brand campaign shows all the changes on the new Dominar. Also Read: Husqvarna Vitpilen 401 spotted yet again; launch confirmed this year! It will get new USD Forks, re-positioned catalytic converter, radial calliper on the front disc and Twin-port exhaust setup. USD Forks come as a replacement to the conventional telescopic forks. Feature upgrades will include the addition of a new digital screen atop the fuel tank and a slightly revised instrument cluster. The new screen will display information such as odometer, gear position, clock and average fuel economy. Apparently, 2019 Bajaj Dominar also gets 2 new colour options. It has been snapped in Sparkling White colour and Hulk Green colour. The bookings for the bike have begun for an amount of Rs 5,000. With this, the prices are set to increase by a margin of Rs 10,000-15,000. It goes for Rs 1.63 Lakhs (ex-showroom) now. It will continue to compete with Royal Enfield Classic 350, Jawa and KTM Duke 250. Bajaj Dominar 400- What Makes This Power Cruiser So Desirable?